We will work with you to build into your existing space or create a new space, and take advantage of every possible feature, while adeptly handling any unique circumstance. Give us a call at 800-815-2726. A small, portable pharmaceutical lab behind the main manufacturing building. 1300 sf Modular Cytotoxic Cleanroom with six pressure regulated cleanrooms. 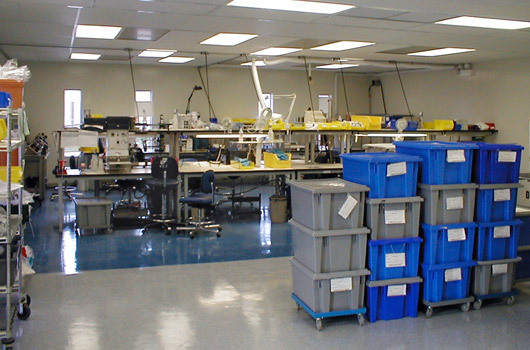 A state of the art medical device packaging cleanroom constructed in an old machine shop. Lasco Services has been providing innovative and cost-effective solutions to the demanding pharmaceutical industry for over 20 years. 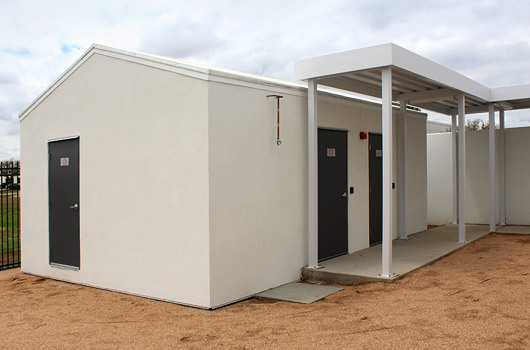 We designed and installed a small, portable pharmaceutical lab behind the main manufacturing building. Lasco Services offers our Pharma customers peace of mind that their product safety and product quality concerns will never be compromised. 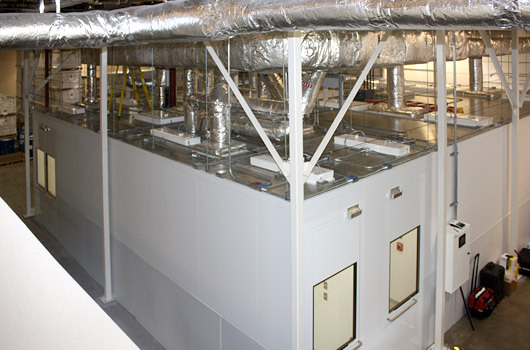 If you're interested in learning more about our cleanroom solutions, check out our case studies. If you'd like our team to find innovative and cost-effective solutions, e-mail or call Roy at 1-800-815-2726.